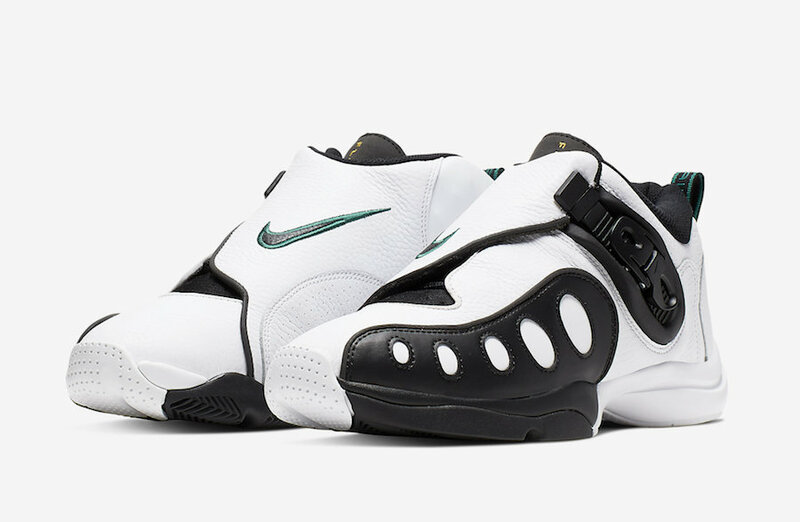 Gary Payton’s first signature shoe, the Nike Zoom GP, which debuted in 1999, will be making a return in 2019 for its 20th Anniversary. This will be the third signature shoe of GP’s that Nike has brought back, following the releases of the Zoom Flight ’98 (The Glove) and the Zoom Hawk Flight. Designed by Eric Avar, the Air Zoom GP comes with an asymmetrical lace cover, highlighted with a self-adjustable ratcheting buckle that kept your foot firmly in place. It comes built with leather and synthetic materials atop a Zoom Air cushioned sole. Look for the Nike Zoom GP to release on April 20th at select Nike retailers and Nike.com. The retail price tag is set at $160 USD. UPDATE: Nike releases official photos of the Zoom GP 2019 Retro releasing on April 20th. UPDATE: Here is the first look at some product photos of the upcoming Nike Zoom GP 2019 Retro that is set to release on April 20th.